This Membership Agreement , when submitted by the applicant and accepted by Africa Compassion Network, constitutes a binding agreement between Africa Compassion Network and the individual or entity executing the submit page of this Agreement. Membership rights, privileges and obligations commence when this registration form is submitted with a payment of the Annual Dues donation by an applicant and approved by Africa Compassion Network via a confirmation email to the applicant. Member agrees they meet all membership requirements and will notify the organization if any requirements are not met during the time of the agreement term. Members information will be documented and kept confidential, may be updated or changed at any point of agreement term when necessary. * Member fails to meet any requirements of membership. * Agreement term lapses without further terms or agreements renewed. * The organization files for dissolution or ceases to operate as a non profit. ​Except under extenuating circumstances, any and all communications in regards to this agreement shall be delivered either personally or by for of certified letter to Africa Compassion Network. 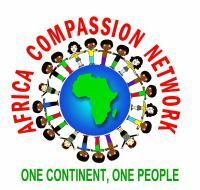 All member notices will be delivered by forms deemed necessary by Africa Compassion Network. ​​This membership agreement sets forth the entire understanding of the above mentioned agreement and unless otherwise stated is not inclusive of any oral or prior written agreements. ​​The "Submit" button below serve as a complete understanding and agreement to all terms and statements above. Africa Compassion Network, Inc. is 501(c)3 tax exempt organization, so your Annual Membership donations are Tax deductible to the full extent permitted by Federal Law of IRS.